KONG: Today we are chatting with Sharkbite Games, creators of Kongregate’s latest mobile release BeSwitched (available now on Android and iOS devices). Sharkbite Games, founded in 2016 and staffed by industry veterans, is led by Rick Ellis and Susan Mackey-Ellis. 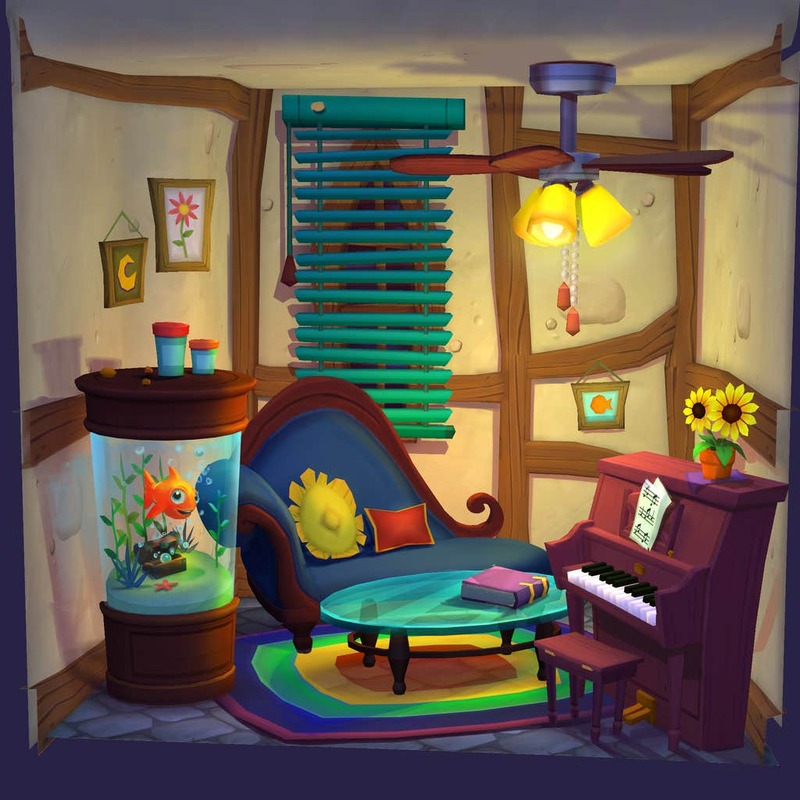 For those who are unfamiliar with the startup, can you tell us a bit about your backgrounds and how Sharkbite Games came to be? RICK: Our studio is made up of game industry veterans, people who have been making games for upwards of 25 years. Our current team has all worked together in the past on various projects so we don’t have many of the startup “growing pains” trying to learn each other’s personalities and strengths/weakness, which has been nice. Individuals on the team have worked on some of the industry’s most amazing and popular titles: Steam, Half-Life 2, Counter-Strike, Guild Wars 2, F.E.A.R., Condemned, Paradise Bay, Star Wars: Galaxy of Heroes, and Deer Hunter to name a few. As a group, we decided that we wanted to build highly social games that cross all platforms (PC, console and mobile), treating the game experience as a unified experience across all of them, so we started Sharkbite Games, Inc. in August of 2016. Since then we’ve raised significant funding from local Seattle angels and put out our first game, BeSwitched. KONG: BeSwitched is Sharkbite’s first release. Given the team’s varied and extensive backgrounds, why did you collectively choose to work on and release a Match 3 game first? RICK: It’s true that our team has a very extensive set of backgrounds. We’re one of the few studios that has talent from both the PC/console and mobile worlds. This allows us to build games that cross a number of platforms and gives us a variety of options for games to build. We also have a mix of mid-core and casual experience on the team, so the sky was the limit! What we wanted more than anything was to earn the right to build more games (i.e. be successful), so we decided to start with a smaller project; one that we knew we could do an amazing job on and give the world a glimpse of what we’re capable of. We also wanted to build a game that was entertaining, fun and not too serious. Many of us had previously come from working on Paradise Bay so making another resource management game right away was not appealing to us so we decided on a match 3 game. KONG: While Match 3 games are categorized as casual games, a lot goes into making them fun and interesting. What types of features and hooks did you find were most important in making a Match 3 game? What is your favorite feature in BeSwitched? RICK: Gameboard - The first feature we worked on, and continue improving to this day, was board movement and excitement around matching charms. Our game board is very fluid, has naturally falling pieces (thanks to physics) and impressive and beautiful visual effects. Additionally, we spent a significant amount of time allowing players to make matches on the board while the board is moving. This continues to be of focus for us, since it’s the one part of the game players interact with the most. Castle - Next, we abandoned the saga map, which is a 2D representation of what level you and your friends are on, found in many match 3 games. 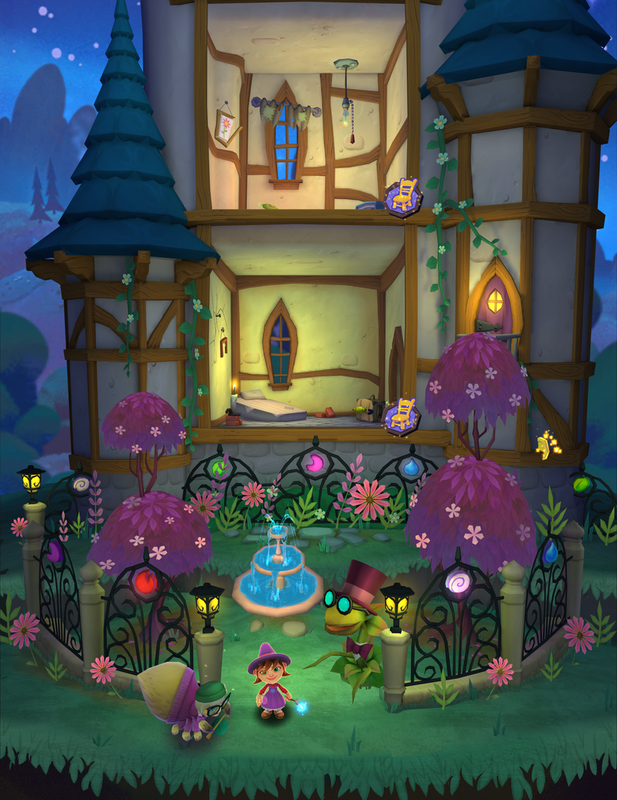 We wanted the game to have a larger “meta” experience, so we added the castle and decorating experience to appeal to players who love creating something unique to show off their progress. This is all done in 3D, so we have beautiful lighting and much better visuals than could be done in 2D. Cute Creatures - We experimented with combat levels where the player would battle creatures instead of the evil warlock, but the feedback we received was that the creatures were “way too cute to fight.” This prompted us to allow the player to save the creatures instead. Once we made this change, the creatures all had a pass to make them cuter and “fuzzier” feeling. From this sprang the notion of training & evolving dragons in your castle. In the future, dragons will play a much more important role to the player. My favorite feature is the dragons, because… Dragons! It’s super fun to watch them play with their toys and grow up. Who doesn’t want a pet dragon? The player response to them has been very strong, so expect to see more of them and more things they do in the near future. KONG: One of your core tenets is described as "If it's not amazing, we won't ship it." What makes BeSwitched amazing, and have there been any ideas, features, or projects that haven’t made the cut? RICK: We believe BeSwitched’s charm comes from the characters and 3D art used in the game. Not many match 3’s use 3D because it’s more difficult than 2D, but the difference in character movement and environmental settings is dramatic. We’ve also spent a significant amount of time making sure the puzzle boards “feel” good to play, both in terms of visual effects and technical challenges, such as being able to make matches while board pieces are falling and combining. Generally, the way we build games is through iteration. Many ideas that sound cool on paper aren’t anywhere near as cool once they are built, so our process revolves around this. We come up with ideas, build prototypes and play test them. During testing we determine what is working about a feature and what is not. If a feature is not fun or fails to meet the quality bar of the game experience, it’s simply removed, regardless of the effort put into it. If we see ways that a feature can be awesome, we’ll iterate on those parts and remove the “less awesome” parts of a feature. Being brutally honest about what works and what doesn’t is what makes this process really work well. Players want amazing, and anything short of that is a disappointment to them regardless of how much time the developer spent working on it. 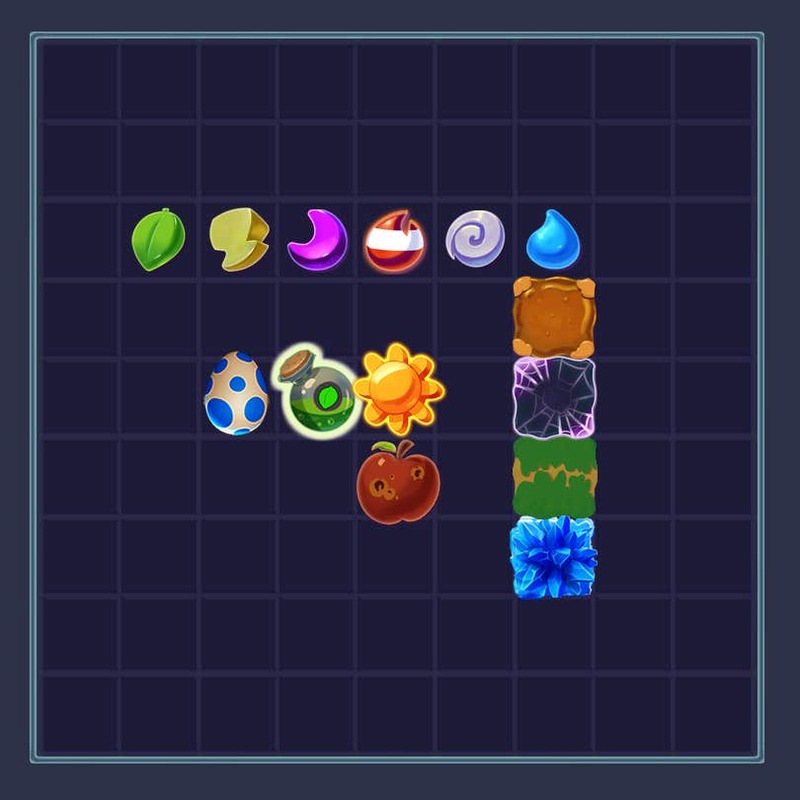 In terms of features that haven’t made the cut, one of the big features that’s no longer in BeSwitched is the “saga map.” You’ve seen these in other match 3’s where a 2D image shows your progression and maybe your friend’s progression. We felt like there was no real way for us to make a saga map experience amazing, so we removed it and went with building the castle instead. The 3D castle is much more fun and allows players to express themselves in a way that’s unique to them while still letting them feel a sense of progression. KONG: Now that you have released your first game as a new company, is there anything that you didn’t anticipate during the development process? Is there any advice you’d give to budding development start-ups? RICK: We’ve built many games in the past working for other companies (King, Valve, Monolith, etc.) so there wasn’t much new or unanticipated in the actual process of building games; however, starting a new company is a much bigger task than I had originally thought it would be. Even having previously been the Studio Head/General Manager of several studios, starting one from scratch involves much more work than is obvious. There’s establishing a company, which involves figuring out how to organize legally (LLC, C Corp, S Corp, etc.) and policies that need to be put in place before you hire people, not to mention that people need to get paid and have benefits, so that requires a bunch of accounting process and health insurance, etc. Then there’s the logistics of finding a space to work and buying equipment and furniture, all of which sounds easy but it’s not; it’s very difficult. Of course before any of this, you have to figure out how it’s all going to be paid for, so learning all the different ways to fund a studio and the pros/cons of each way was a massive learning experience. While that may all seem scary, probably the best advice I can give someone trying to start a studio is to simply go for it! Before Sharkbite Games launched, we’d made several attempts at building a studio “on the side” while we had full-time jobs, and the reality is that just didn’t work very well for us. Everyone on the team had great intentions, but real life, families etc. and a full-time job really aren’t conducive to starting a new studio. There will always be unknowns and risk, but you’ll learn how to navigate and overcome the obstacles as they present themselves to you. Believe in yourself and your team. If it’s your dream to start a studio to build games, don’t short-change it; give it everything you have so it has the best chance for success. Only about 1 in 10 startups actually work out, so your dream deserves the best shot you can give it to become a reality. KONG: Sharkbite is located in Bellevue, Washington alongside many other major and indie developers. What is it that makes Washington such an enticing environment for game developers? How has the presence of so many game developers and companies impacted the local game dev culture? RICK: Washington is not only a beautiful place to live with seasons, mountains, lakes, rivers and all sorts of activities, it’s also home to many high-tech companies including titans in the games industry (Microsoft, Nintendo, Valve, Bungie, Warner Bros., etc.) and a number of large universities. The amount of talent and passion for video games in this area has driven it to be one of the more significant “hubs” for gaming in the United States. Unlike many industries, the games industry is pretty friendly. People are happy to “talk shop” and collaborate on ideas and new trends. We have several industry nights in the area every month where people can gather and talk to each other about what works, what doesn’t, test out new ideas and ask questions to help solve difficult problems. These are open to industry people as well as individuals trying to get into the industry. We’re also home to one of the first dedicated game development schools: DigiPen. There’s amazing talent that comes from DigiPen, and there’s an opportunity for students and grads to locally interact with some of the best minds in the industry. Many of the students are able to get jobs here when they graduate or do internships while they attend school. This gives them a real-world perspective on what it’s like building games and working in a studio. KONG: BeSwitched takes place in Lily the Witch’s castle; during the game you thwart the evil Warlock to rescue Lily’s friends and castle from an evil curse. So if given the option, which would you rather have? 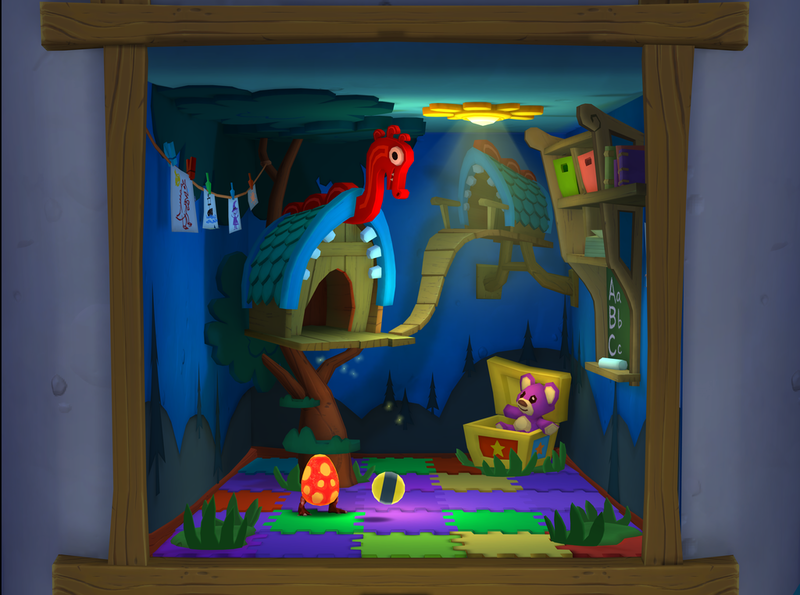 A baby dragon that never grows up, a castle that doesn’t require maintenance, or an unlimited, free wardrobe? RICK: The only answer here that works for me is a baby dragon. I love dragons and love watching them play in my castle. Also, given what I know they’ll be capable of in the future, having a baby dragon is the obvious choice for me. KONG: Now that BeSwitched is live on iOS and Android, what is next for the game and Sharkbite? RICK: In the free-to-play space, launching a game is just the beginning. We have many more features, puzzles and content coming for BeSwitched over the next several months, including events, more things to do with your dragons and ways of enjoying the game with your friends. As for what’s next, we’re beginning to work on our next game, which will likely be a cross-platform game (PC/console/mobile) with more RPG elements in it.